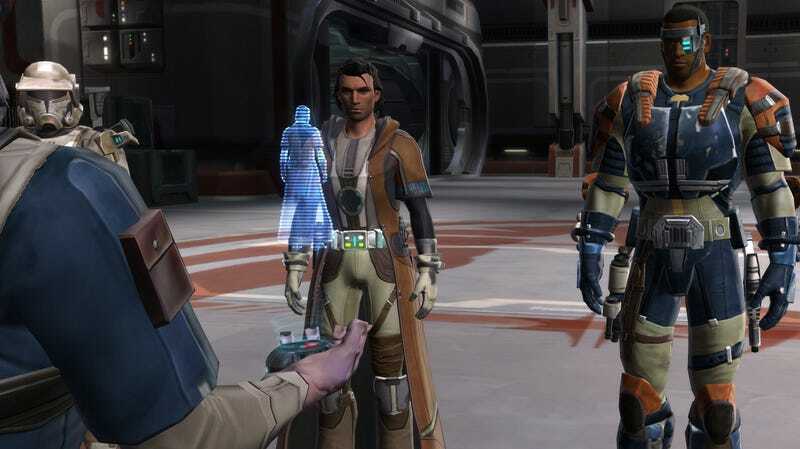 When Star Wars: The Old Republic became available last December, the big test it faced was showing an ability to pull away players from the World of Warcraft juggernaut. Neither company wants to discuss the tug-of-war in terms of raw numbers, but Blizzard's developers have admitted to seeing a dip in subscriptions. What about BioWare, then? The developer claims that their SWTOR subscriber base holding steady, but they've got other challenges to face down. "Nothing is off the table when it comes to making sure our communities are strong and active on each server." It doesn't seem like doom and gloom yet, but rather comes across as a sign that BioWare knows they need to build a community in a landscape that that will constantly have another more populated universe to tempt them.